With just a few simple alterations, you can create a bird-friendly garden and be able to support wildlife before the worst of the weather hits. Birds can benefit from your gardens all year round, but did you know winter is the best time to provide them with extra food and shelter? 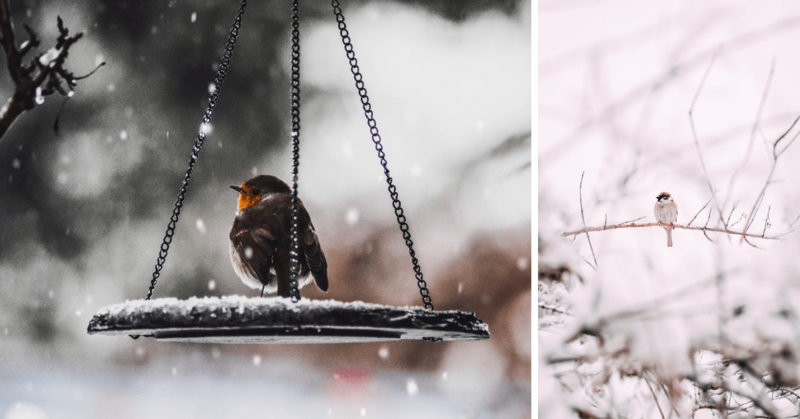 As the colder months approach, Brits are encouraged to support the needs of our winged friends this winter by creating a bird-friendly garden. Even if you’re not an avid bird-watcher, you can surely appreciate the beauty of these creatures visiting your garden once in a while. 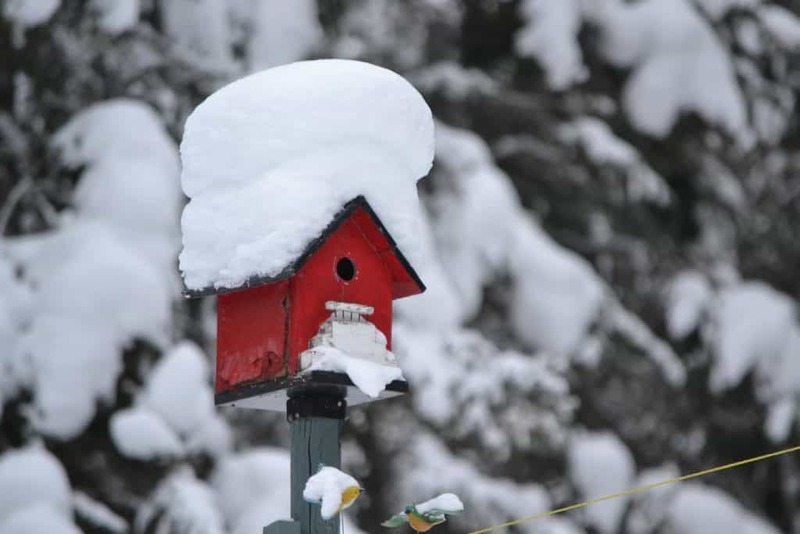 Birds can survive and thrive throughout any weather, but you can easily contribute to keeping them even more safe and sound. From providing fatty food and adequate cover in foliage to allowing bushes to overgrow, you can effortlessly lend a helping hand to keep the birds alive this winter. Follow these simple steps to encourage birds to visit your garden this winter and keep them coming back all year round! Garden birds can’t talk, but we bet they will be thankful if you leave food outside for them throughout the year. Especially in the colder months as birds are required to hunt for food when the temperature drops as they have to keep their bodies warm. One thing you can do is to choose food that is high in fat to help the birds stave off the cold. Make sure to replenish supplies regularly especially during the colder months, as they may come more often to depend on human supply. Neglecting to fill up feeders or leaving something for the birds for a long time in the winter can put their health at risk. However, excessive amounts of food left outside can attract pests so make sure to provide just enough. Specialised fat blocks, designed with birds in mind, can be placed in wire cages or they can be prepared at home with suet and an appropriately holed mould. Seeds, nuts, grains or pre-made bird mixes are also some of the tasty treats that can help birds maintain a balanced diet over the colder months. 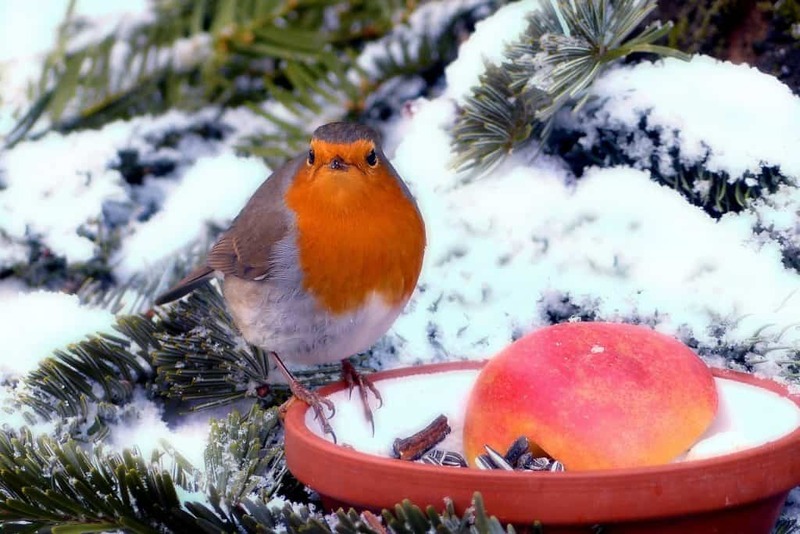 Aside from that, bacon rind, cheese, uncooked fruit – even cake and other kitchen leftovers – can also provide extra nourishment for a range of garden birds during winter scarcity. 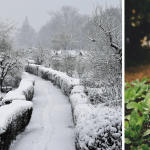 You can also plant winter-flowering bushes or trees, such as ivy for new year fruit, which can act as an extra special source of nutrients, and have grateful birds frequently flocking to your garden. Garden birds aren’t difficult to take care of. 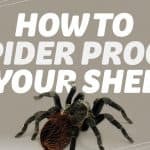 By keeping your hedges, trees, and other shrubs well-maintained, you can already provide them with a precious safe haven from predators. This can also serve as a place for them to rest or build a nest. With this, you shouldn’t be afraid to allow the odd bushes to become overgrown or somewhat wild during winter as it will provide a useful habitat for birds. 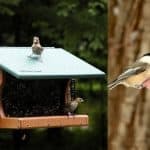 Sturdy wooden bird boxes, also known as nest boxes, will also be very helpful to many birds as the temperature drops because their natural shelter becomes sparse. These can either be free standing or attached to fences or trees. The simple structure can also serve as a great breeding ground for birds when the weather starts to warm up. Just like humans, birds also need water in order to survive. 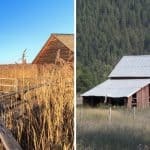 If a small pond doesn’t fit in your garden environment small pond, you can instead provide a water feature, a birdbath, or even just a small bowl or dish. Make sure to frequently fill it with fresh water to give birds a vital source of clean and safe hydration. Providing water to garden birds is even more critical when the temperature starts to drop below zero, and local natural sources of water begin to freeze over. They will surely lose their access to any freshwater outdoors. 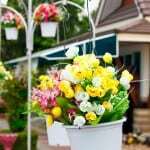 In addition, it’s also important to keep the container for water supply to avoid bacteria growth and prevent them from harming any thirsty creatures that may visit your garden.